Blue Mug Designs Birth Announcement - It's a Boy! 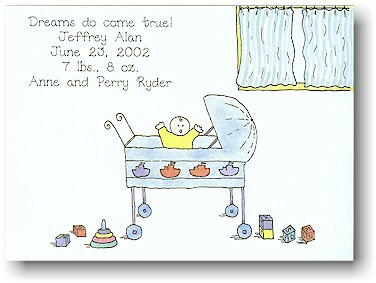 White card depicting baby boy dressed in yellow in blue bassinet. Baby toys are placed on the floor and window with blue curtains is in upper right corner.